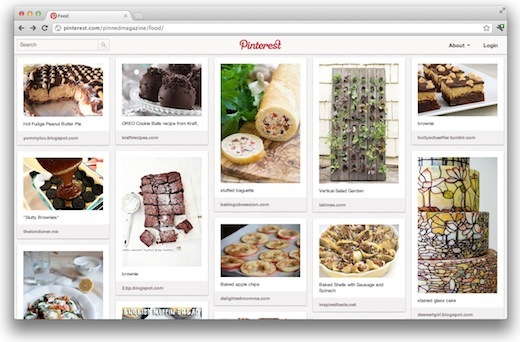 It would seem that just about everyone is coming up with ways to monetize Pinterest, except for Pinterest itself. At least that’s what they would have us believe. Apart from the news emerging that the site was ‘testing’ one model with affiliate links provider, Skimlinks, Pinterest itself has kept very quiet. That hasn’t stopped other users from coming up with ways to turn Pinterest into a money-generating venture for themselves. One example we recently came across is a new digital and print magazine – Pinned Monthly. The magazine is a curated ‘best of Pinterest’, highlighting some of the most interesting items that have been pinned that month. The first question on your mind is probably the same question that has been plaguing Pinterest itself – what about copyright issues? Pinned Monthly only includes items in the magazine after having gained permission from the Pinterest user to do so. We caught up with the elusive ‘Ms. Pin’, the Pinterester behind the project, to find out more about the magazine, and why she’s doing this. With over 11 million Pinterest users generating and re-sharing content, driving more traffic than Twitter itself, Pinterest has shot into the top 30 most visited websites in the US. With the sheer amount of content, you’re very possibly missing out on a lot of interesting pins. Pinned Monthly aims to address that. Now, whether or not you agree with a third party monetizing a service that someone else is running, Pinned Monthly is actually an entirely non-profit endeavour. All proceeds from Pinned Monthly are going to Room to Read, a global organization dedicated to literacy and gender equality in education. To see the content that will be featured in the magazine, you can check out Pinned Monthly’s own Pinterest account. The first issue, which is coming soon, will be available in PDF, MOBI and ePUB formats for $3, while the print issue will be available for $9. If you’re desperate to get a monthly Pinterest fix you can sign up for a a 12-month digital subscription for $12.99, or a 12-month digital and print subscription for $89. All TNW readers can also take advantage of an awesome giveaway which will get you the first digital issue of the magazine for free. Just sign up to the Pinned Monthly mailing list using the promo-code TNW-READER and you’ll get the first issue as soon as it’s published.